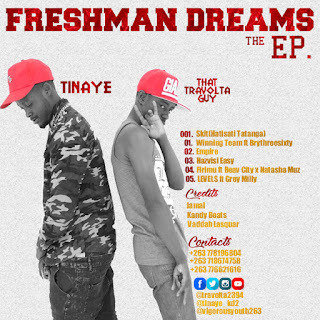 That Travolta Guy just released his Second studio EP (after Vigorous Youth) titled Freshman Dreams which is a joint collaboration with TiNaYe. Overview: That Travolta Guy just released his second studio EP (after Vigorous Youth) titled Freshman Dreams which is a joint project with TiNaYe. On Freshman Dreams, Trav talks about him being new at University and also being new on the hip-hop scene and his interactions with friends and people around him. 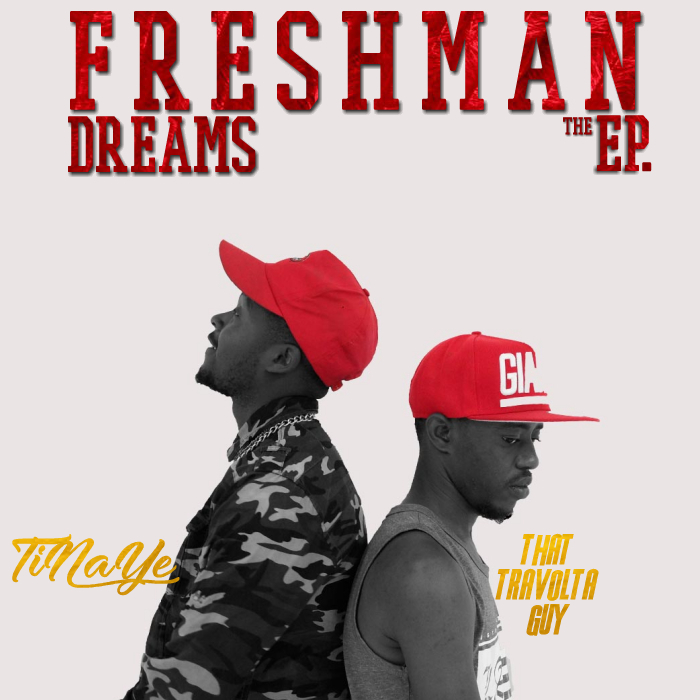 Featured here are artists like Beav City, Brythreesixty, Natasha Muz and Grey Milly.The EP features input from upcoming producers Vadda, Kandy Beats, Craig Bone, Thazanova and Jamal who did the mixing and mastering. Spekk Verdict: Hmmm... when I heard the intro I was hyped and was eager to listen to what this EP had to offer. My enthusiasm was short-lived as the next track ironically titled Winning Team started. This was a no for me and so was the next track Empire. Here is were I was really starting to get worried about if I was going to enjoy this project at all. Then Hazvisi Easy came on. After listening to it throughout it's safe to say that the enjoyable part is the bottom half *pause*. The top half just sounds like filler content, which one usually expects at the end. I do see a potential for this duo and I would definitely advise visuals for the bottom half of the EP, which holds the project's strength. Are you relating to these freshman dreams? Let me know what you think of it.